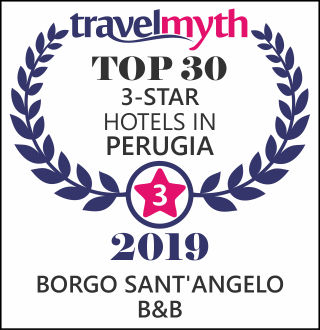 Around the heart of the Hotel Borgo Sant’Angelo Albergo Diffuso you will find new charming rooms in delightful two-room apartments in the “Cardinal Del Monte” Residence, a small architectural jewel completely renovated in 2015. The building is listed as one of the most beautiful in the historic center and overlooks the main square where the civic tower and the Basilica of San Benedetto rise majestically. The gushing and fresh water, wealth of the small town, flows from the splendid fountain attributed to Sangallo the Elder and named after Cardinal Del Monte. The lodgings remember and perpetuate with their names “Gold and Ruby” and “Le Mittens” the ancient art of the pottery that has characterized the territory and the Gualdese people. Composed of a bright and welcoming living room with stone wall parts, classic furniture and warm and soothing colors can accommodate two to four people. Cozy and artistically panoramic the corner sofa with kettle, the double bedroom, intimate and private, is equipped with flat screen color TV, safe, desk in style. The bathroom is characterized by a whirlpool tub.